If a faculty notification letter lists captioned videos, then all videos shown in that class must have captions turned on. If you are unsure how to turn on captions or subtitles, aren’t sure if your media is captioned, or have questions, please contact our Interpreter Coordinator at amlott@ualr.edu or 501.683.7628. Please note that automatic captions by YouTube are not at all adequate, and should not be used. UA Little Rock has made a commitment to full inclusion of all students. Part of this means only accessible (captioned) videos are to be posted to the UA Little Rock domain. It’s quite easy to do this task in-house without spending any money. Below you will see how to utilize YouTube to provide captions by simply editing the automatic captions. Why are captions important? 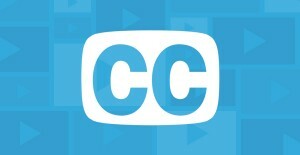 Deaf and hard of hearing viewers are excluded without captions, which is both a legal and an ethical problem. But in addition to that, studies show that captions are beneficial beyond just the deaf and hard of hearing population. Captions make it possible for people to view your video in sound-sensitive environments, like offices and libraries. Captions make it possible to view your video when they’re in noisy environments, such as restaurants, sports clubs and public transit. Captions help ESL viewers. Captions help when dialogue is spoken very quickly, or the speaker has an accent or mumbles, when there is background noise, and when the subject matter is complicated. Studies have shown captions increase viewer retention and user engagement, as well as SEO (search engine optimization). Captions are good for everybody. Adjusting automatic captions on YouTube videos is a simple process. For step-by-step instructions please view this online tutorial. Don’t simply use YouTube automatic captions – be sure to edit! The automatic captions done by YouTube are inadequate. Watch this short, humorous video for a demonstration of the automatic captioning in YouTube, and how problematic it is. When using automatic captions, make sure to adjust! Deaf viewers: Here’s a brief explanation, since the captions at the beginning don’t make sense. They are acting out a scene (the accurate captions appear in the first reenactment above the automatic YouTube captions). They then act it out a second time using the captions YouTube generated in round 1, and then a third time from the round 2 captions. It’s nonsensical, which is the point – automated captions are really bad. Search for videos that are already captioned. Some great examples are YouTube Education (Look for those with the CC box underneath), and TED Talks. Marlee Matlin’s Remarks at FCC Hearing on Broadband Access (Video): The FCC held this field hearing at Gallaudet University in Washington, D.C. on November 6, 2009 as part of its effort to gather information from experts and consumers for the development of a National Broadband Plan. Among those on the first panel was Academy Award-winning actress Marlee Matlin, who is the spokesperson for the National Association of the Deaf for accessible broadband services and Internet media. YouTube Help Center: Adding/Editing Captions: Step by step tutorial for captioning videos in YouTube. Oh, and, by the way, these videos are captioned!